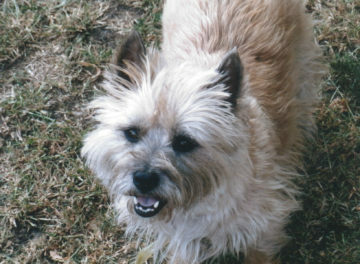 Meet four-year-old Teddy, a gorgeous West Highland White Terrier cross. Rescued when he was three months old, Teddy has been living a happy life in the countryside with his extended animal family of five cats, three dogs, two guinea pigs and three horses. After chasing a deer in his garden one day, Teddy became lame and unable to bear any weight on his left hind limb. 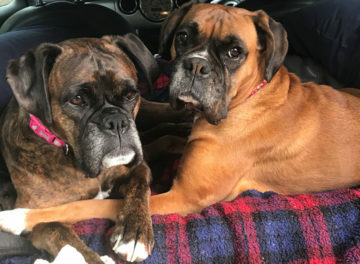 Although the lameness improved with rest, it did not resolve, so his local vet referred him to Fitzpatrick Referrals Orthopaedics and Neurology for specialist advice. 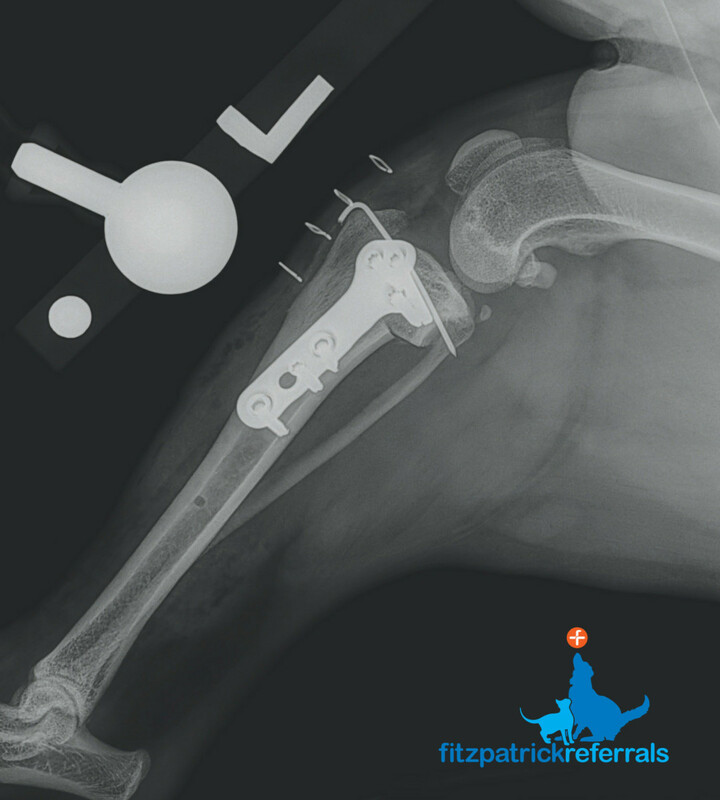 Teddy was booked in for a consultation with Dr James Guthrie, Senior Surgeon in Orthopaedics. On clinical examination, James noticed that Teddy was actually lame on both his hind limbs. Both of his stifle joints were swollen and uncomfortable. On manipulation of these stifle joints, cranial tibial thrust was present (this is an abnormal movement of the joint that occurs when the cranial cruciate ligament has ruptured). 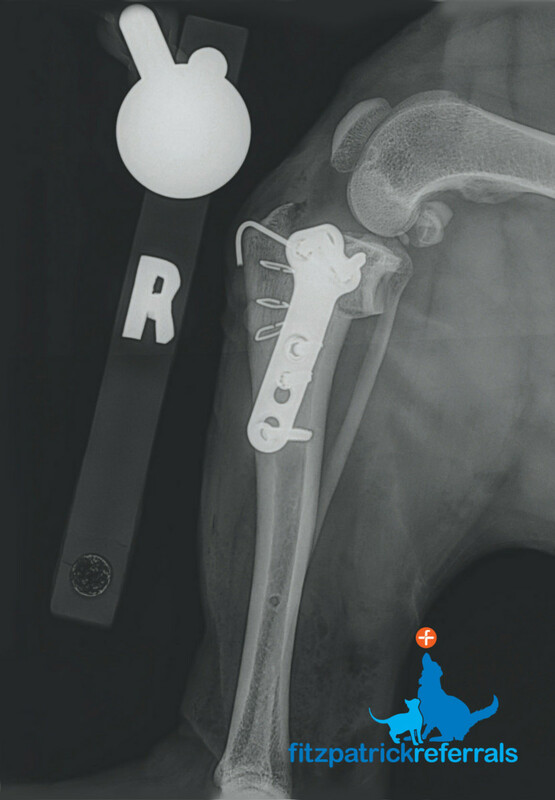 X-rays also suggested he had cranial cruciate ligament disease in both of his hind limbs. 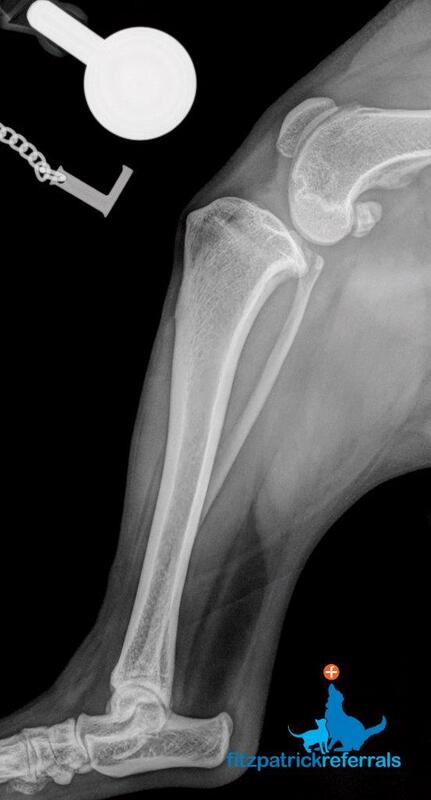 Radiograph of Teddy’s left hind limb showing an increased intra-articular opacification with compression of the infrapatellar fat pad and caudal bulging of the subgastrocnemius fascial plane consistent with synovial inflammation and effusion. 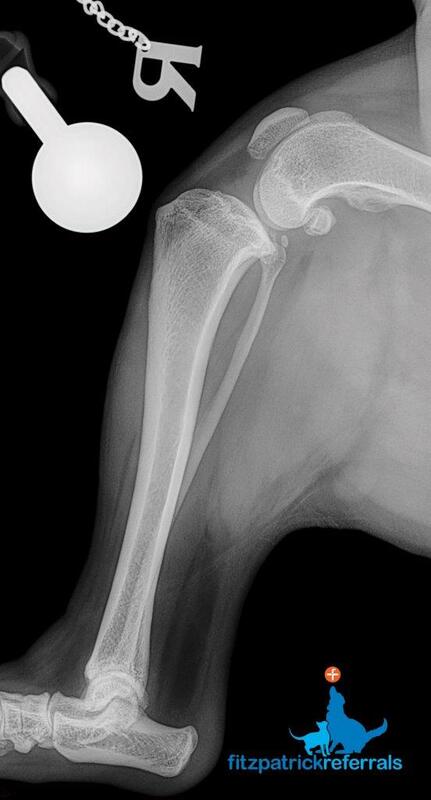 Radiograph of Teddy’s right hind limb showing similar changes to the left hind limb. 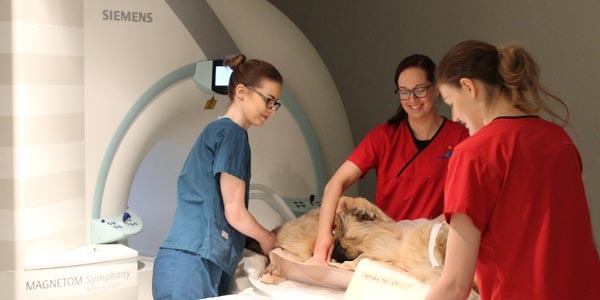 In the vast majority of dogs, the cranial cruciate ligament (CrCL) ruptures as a result of long-term degeneration, whereby the fibres within the ligament weaken over time. 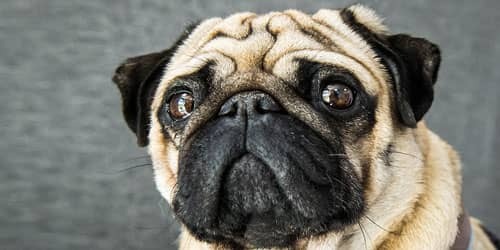 We do not know the precise cause of this, but genetic factors are probably most important, with certain breeds being predisposed (including Labradors, Rottweilers, Boxers, West Highland White Terriers and Newfoundlands). 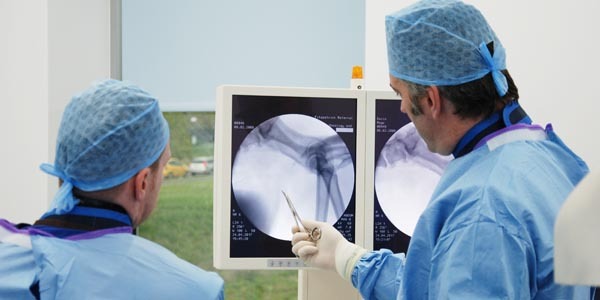 Read more about cranial cruciate ligament disease or injury. 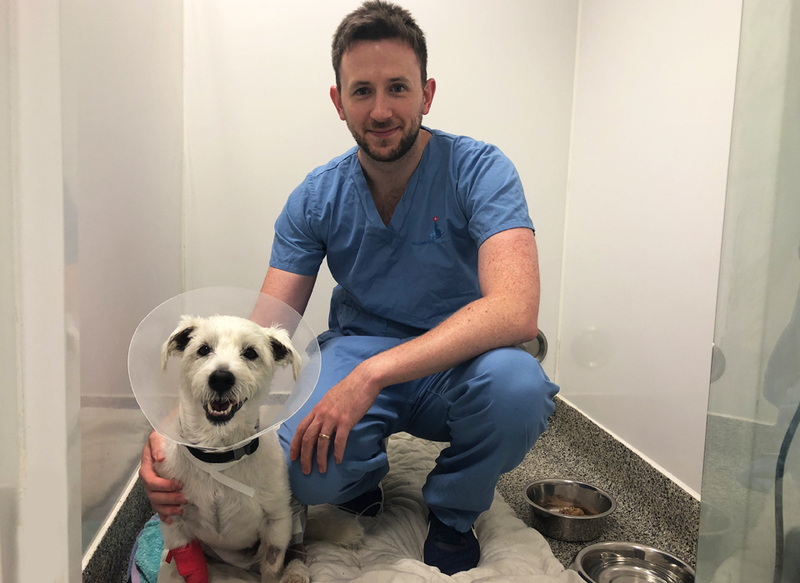 James discussed the treatment options with Teddy’s family and recommended the best option would be a tibial plateau levelling osteotomy (TPLO) procedure. The procedure would be required for both limbs. The family decided they would like to proceed with the surgery and opted to have the two limbs operated on at the same time. This meant Teddy would have one block of recovery rather than having to have two surgeries on two different occasions. 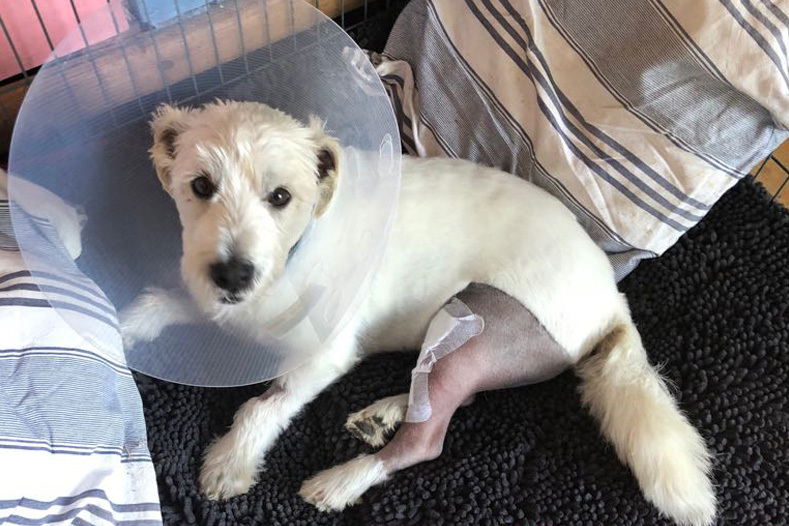 Teddy is a very active dog and loves running, jumping and playing, so the family knew the best thing to do for him would be to opt for the surgery, which would hopefully give him the best chance at getting his full motion and comfort back. 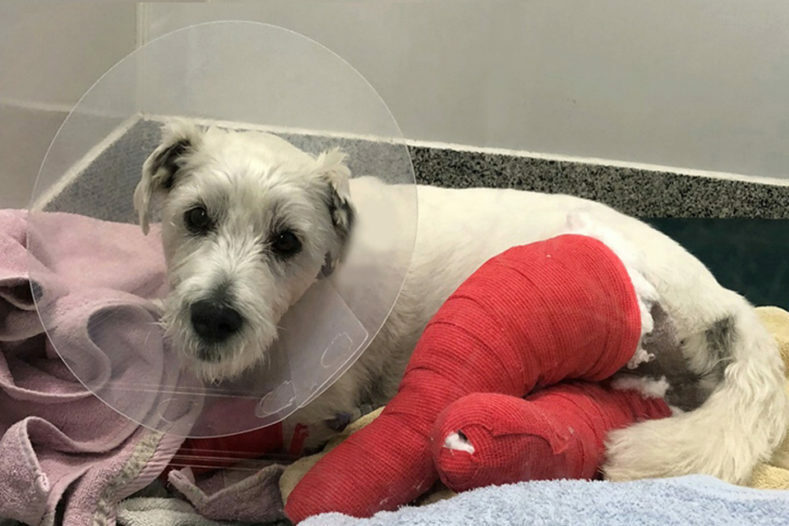 The next morning, Teddy underwent bilateral TPLO surgery, which confirmed he had partial tears of the cranial cruciate ligaments. 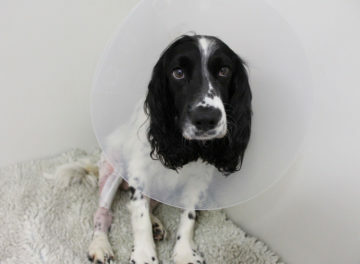 Teddy recovering in the wards, the evening after his TPLO surgery. 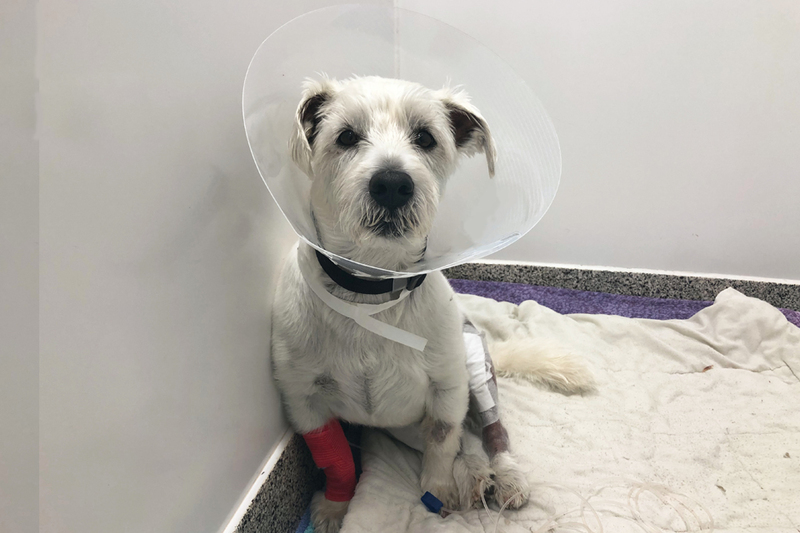 Teddy spent the next three days in the hospital under the care of our team and recovered very well from his surgery, before going home to continue his recuperation. Teddy pictured with Senior Surgeon Dr James Guthrie before he was collected by his family. Teddy being a good boy and resting in his crate at home. For the next ten weeks, he will only be allowed short, lead walks (definitely no deer chasing Teddy!) and he will return in six weeks for a check-up and further X-rays. 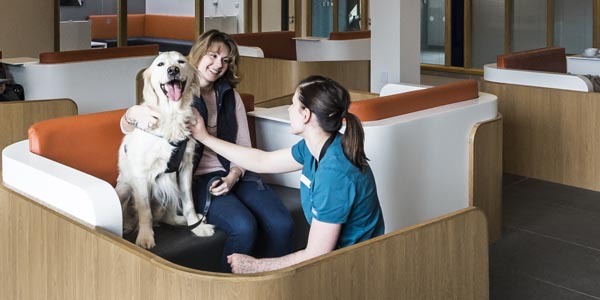 James has recommended that Teddy undergo rehabilitation, as physiotherapy and hydrotherapy will help speed up his recovery by helping build muscle mass and maintain a good range of motion in his joints.